Sunday school administrator and Baptist preacher, Dr. Louis Entzminger, began his service for the Lord with a great desire to work with the Sunday Schools of Baptist churches. He began to work on a system that would help to build and maintain such Sunday Schools. He was the originator of the six-point system that is so widely used today in most Baptist Sunday Schools as well as those of other denominations. 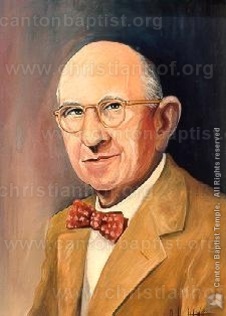 Dr. Entzminger is also credited for his help in building the largest Sunday Schools in America, either directly or indirectly. He was instrumental in the founding of the Fundamental Baptist Bible Institute which later became Bible Baptist Seminary and is now known as Arlington Baptist College in Arlington, Texas.